Polybrominated diphenyl ethers (PBDEs) are a class of flame retardants used in numerous consumer products to increase product resistance to fire and/or high temperatures. However, several studies suggest potential harmful effects on human health after exposure to these compounds. Since diet is a relevant source of PBDE exposure, food samples must be routinely monitored to check for possible contamination. On the other hand, routine food monitoring procedures require fast, simple, sensitive, and selective analytical methodologies. Therefore, in this study, an original method combining microextraction by packed sorbent and gas chromatography coupled to mass spectrometry for the determination of six congeners of PBDEs (BDE-28, BDE-47, BDE-99, BDE-100, BDE-153, and BDE-154) in egg samples was proposed. 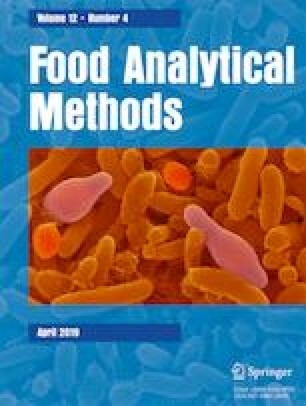 The attractive advances over current protocols include the reduced sample amount required (50 mg of freeze-dried egg), the low solvent volumes (lower than 300 μL), the lower detection limit (LOD = 0.42 ng/g lw), and an excellent reproducibility and repeatability (< 10 and 8%, respectively). Furthermore, the method is fast and simple. After validation, the proposed method was applied to the determination of PBDEs in 40 samples, including free-range and conventional eggs commercialized in Brazil. The free-range eggs presented the highest detection percentage of PBDEs, corresponding to 67.7%, and BDE-47 was the predominant PBDE found (30% of samples). The mean value observed for BDE-47 was 5.9 ng/g lipid weight (lw), whereas the sum of all analyzed PBDEs (∑PBDEs) was 16.7 ng/g lw. This research was funded by São Paulo Research Foundation (Fundação deAmparo à Pesquisa do Estado de São Paulo (FAPESP), Grant Nos. 2015/19665-8 and 2016/02949-6) and by the National Council of Technological and Scientific Development (CNPq). Marília Cristina Oliveira Souza declares that she has no conflict of interest. Bruno Alves Rocha declares that he has no conflict of interest. Juliana Maria Oliveira Souza declares that she has no conflict of interest. Andresa Aparecida Berreta declares that she has no conflict of interest. Fernando Barbosa Jr. declares that he has no conflict of interest.